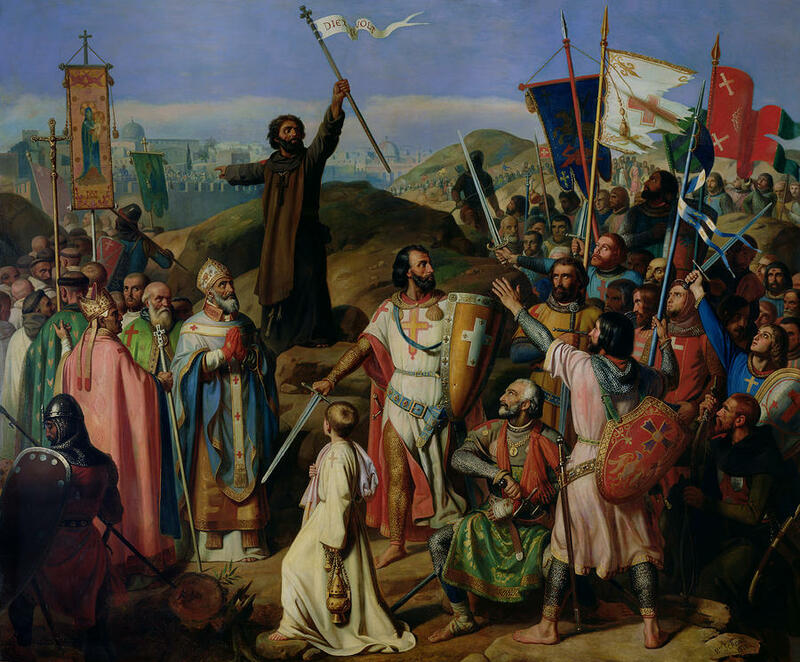 - Initially, the novel was written in first person and concentrating solely on the story of the Templars but was eventually changed third person and began to focus on the major events of the period, namely the Crusades. 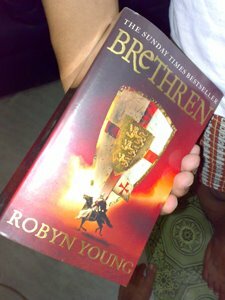 No other books that chronicled about the Crusade has ever aroused my hunger for reading than Young's Brethren. The plot was so highly research that you may think you're reading history when actually it is fiction. The story surpasses generations and builds a believable world or Knight Templars, Hospitallers, and Muslims. The quest for the Kingdom of God has been the topic of many of today's great novels and I am proud to say that I have read one of them (well maybe two or three along with his book's sequels). I cannot imagine how the author conceived the story that gives light to both Christians and Muslims as most of the book of this genre focus only on Christian characters. The story revolves aroung William Campbell from the moment he served as a young sergeant up until he recieved his mantle as a full Knight Templar. He was delve into a secret brotherhood within the Temple. He will then be entrusted to find the lost book that if discovered could mean the downfall of the secret organization, in which he is a member, and also of the Temple. But he is not alone in searching for the said book as enemies try their best to get hold of it and bring a scandalous end to the Temple. The other side of the story focuses on Baybars Bundukdari, who rose to the ranks of becoming a Sultan of the Mamluks, motivated purely by his hatred of the Franks. Later, Will discovers that there is a contact deep within Baybars' circle of trusted advisers who work with the Brethren to achieve long-lasting peace in the Holy Land and the reconciliation of the three dominant faiths of the West: Judaism, Christianity and Islam. But the task of maintaining peace is not easy as enemies of all colors and races lurk every crook and cranny to tip the balance of peace. For the nth time all I can say is that I was greatly entertained once more. This was very new to me the first time I read it since I am mostly focused on fantasy and the lot. After reading this books it made me think that I should widen the genres that I am reading, so here I am right now reading whatever genre I could take, thanks to this lovely book. I might as well by Young's latest series that started with Insurrection.